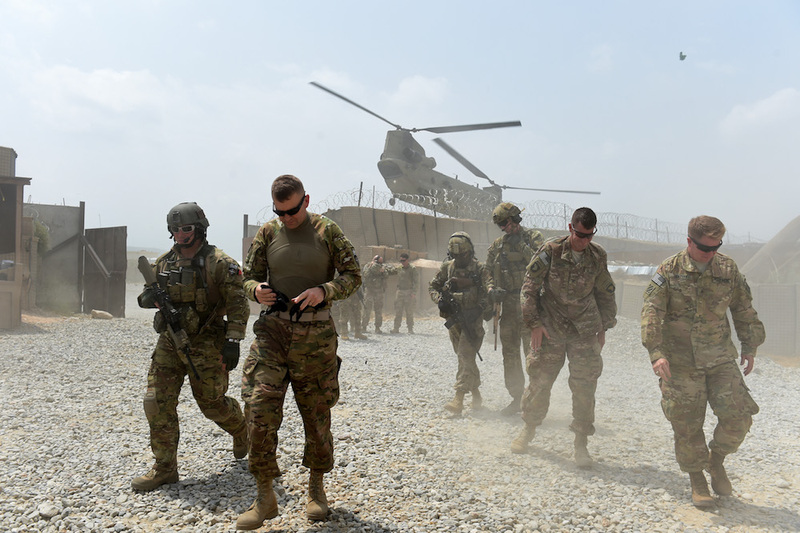 President Donald Trump’s intention to halve the number of US troops in Afghanistan from 14,000 to 7,000 and withdraw the 2,000 remaining troops from Syria has caused some concern among those following US policy toward Iran. Afghanistan has been coordinating with the US in Saudi-Emirati efforts to restore stability and security to Yemen and to reach a peaceful solution to the 17-year conflict in Afghanistan. Observers are worried that slashing US troop numbers may provide an opportunity for Iran to further expand its political, economic and sectarian influence in Afghanistan. Premature military withdrawal by major powers from politically unstable countries in this region invariably worsens and prolongs their internal conflicts, leading to the spread of terrorist groups and triggering foreign intervention, especially by expansionist powers seeking a foothold in the region by exploiting any vacuum. Iran has never left a vacuum unfilled, especially in a neighboring nation such as Afghanistan, with strategic importance and a 921km shared border. Adding to these concerns are the cultural and religious rifts between the two countries. Up to 20 percent of the Afghan population of 34.9 million are Shiite, mostly members of the Hazara tribe. They live predominantly in areas next to the Iranian-Afghan border and in Herat in Western Afghanistan, known colloquially as Little Iran. The city’s schools and universities, the Azad and Al-Mustafa Islamic universities, have similar facilities in Kabul and other cities. The rituals practiced there are either wholly Iranian in character or mimic its cultural traditions. To maximize its influence in Afghanistan, Iran has not depended solely on sectarian issues but also used other strategies such as consolidating its relations with the Tajik Afghans. Iran has hosted two million Afghan refugees since the 1990s, often arming them and sending them back to Afghanistan to form pro-Iranian militias, or embroiling them in conflicts in Syria, Iraq and Yemen to fight alongside its local allies. Since 2016, Iran has maintained positive relations with anti-American movements, especially the Taliban, its arch-enemy in Afghanistan during its rule before 2002. Observers are worried that slashing US troop numbers may provide an opportunity for Iran to further expand its political, economic and sectarian influence in Afghanistan. Iran has not abandoned its presence in Afghanistan since 2002. It has been boosting its clout there since the US pulled out 100,000 of its 130,000 soldiers. This has given Iran leverage to interfere. It has done this by inciting hostilities between the US-backed government and the Taliban, who are regaining political momentum amid the dwindling US presence. A powerful central government in Afghanistan threatens Iranian interests and its expansion into the country. However, despite the channels Iran possesses to wield influence in Afghanistan, and the advantages it has such as the leverage offered to the Tehran-allied Taliban by the US pullout and the ensuing vacuum, Iran has secured few successes in Afghanistan. Syria is another matter. There is a bigger vacuum there, and it is a priority for the Iranian leadership that pays more attention to the so-called Shiite Crescent states such as Iraq, Syria and Lebanon, to create a corridor linking Iran to the Mediterranean. The armed Iranian proxy militias deployed in all these countries offer Iran an opportunity to infiltrate their political institutions and security apparatuses. The situation in Afghanistan, however unstable, is better than that in Syria, given that Afghan forces and the US-led coalition operate in Kabul. Also, the US withdrawal from Afghanistan is partial, compared to a full pullout from Syria, which will reduce Iran’s chances of strengthening its influence in Afghanistan. Unlike in Syria, Iran does not enjoy positive relations with the Afghan government and is largely unpopular among the Pashtun Afghan population, who seeks ties with Pakistan and Saudi Arabia in pursuit of political and religious support. In Syria, Iran enjoys strong ties with the Assad regime, which sees Iran as a savior and owes Tehran a massive debt for regaining control of the country. Afghan minorities, such as the Sunni Baloch, are also wary of dealing with Iran because of the regime’s ill-treatment of Iranian Balochis. Even Iran’s closest Hazara allies are skeptical of Iran’s intentions and oppose its revolutionary ideology. Above all, Saudi-Emirati efforts to resolve the Afghan crisis through a rapprochement between the Taliban, the Afghan government and the US administration will reduce Iran’s chances of filling the vacuum left after the US pullout from Kabul. Since July, US envoys have met Taliban delegations four times in UAE-brokered talks to find a political solution to the Afghan war. The complete US withdrawal from Syria and partial withdrawal from Afghanistan will certainly have major geopolitical repercussions in these two already unstable countries. They may perpetuate and prolong the vicious cycle of violence, terrorism and conflict among regional and international powers, and intensify these crises in ways that may profoundly damage international peace and security for years to come.